Everyone remembers the infamous scene from American Psycho, when business colleagues drool over each others’ business card font, print and stock. 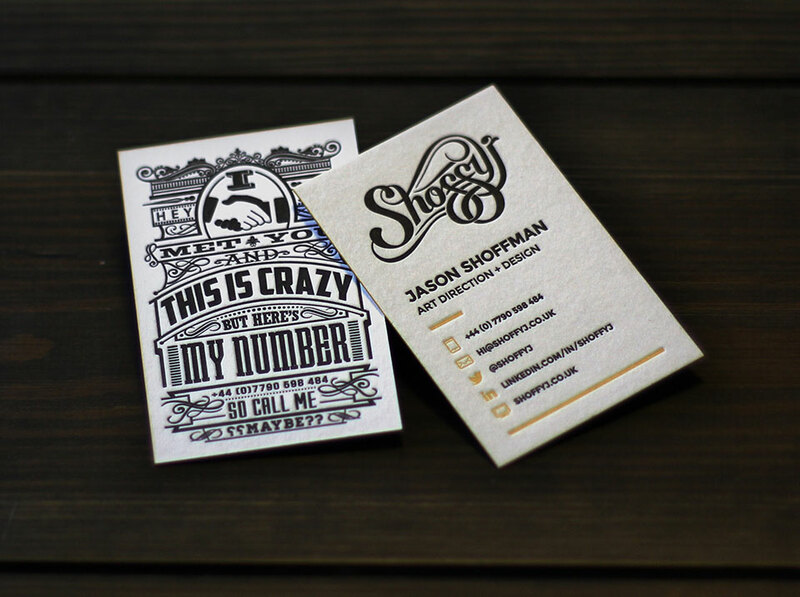 Business cards are your calling card. The ice breaker. The marking of your territory. Something to remember you by. 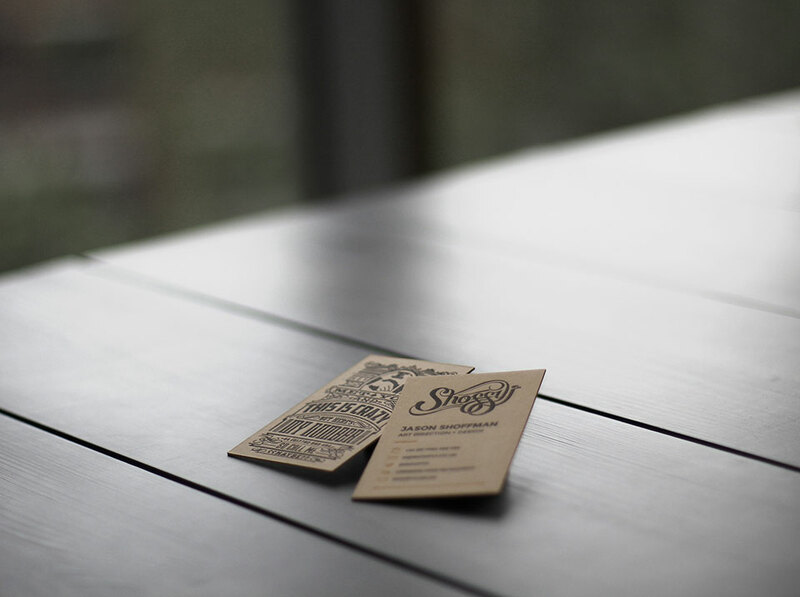 Well this year, my business cards are back with a vengeance. 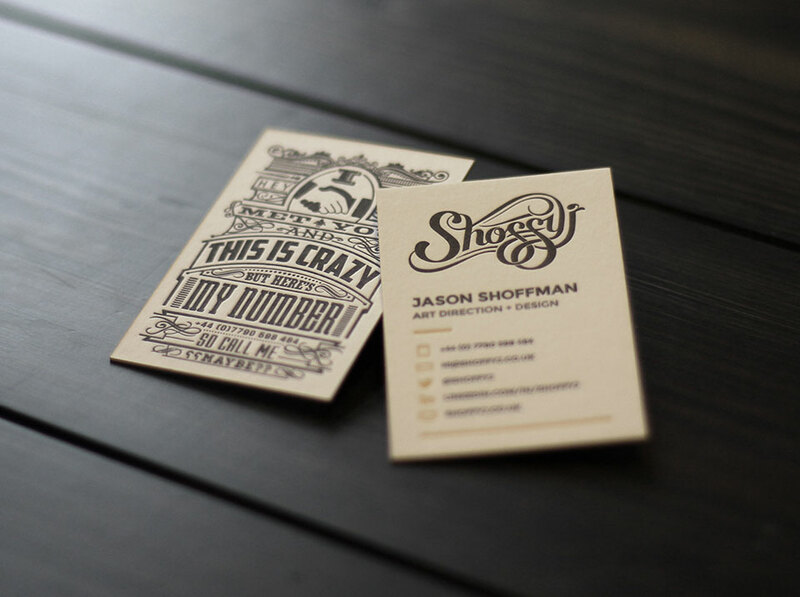 I’ve modernised the old design and coupled with letterpress printing, these bad boys are my best yet! 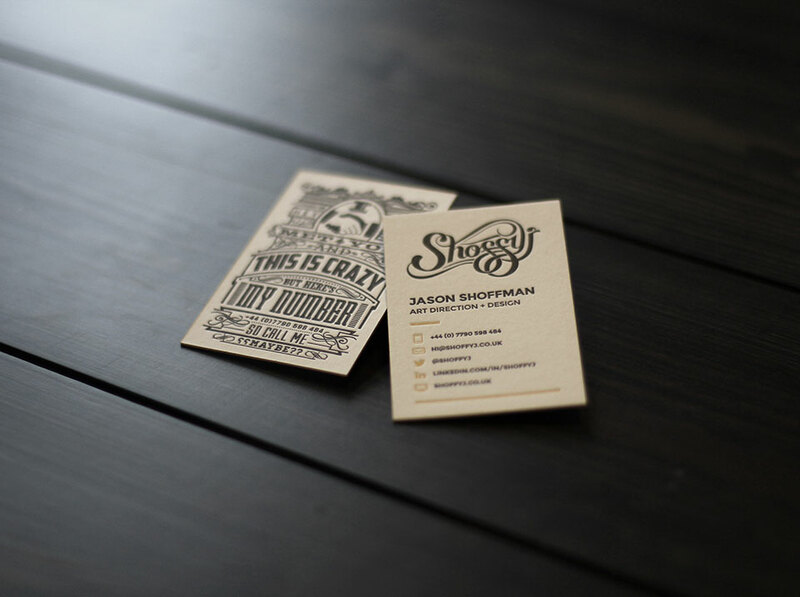 Yup, with its own plate, letterpressed into a 700gsm cotton stock, these business cards definitely catch the eye. The icing on the cake is the tangerine edge painting. 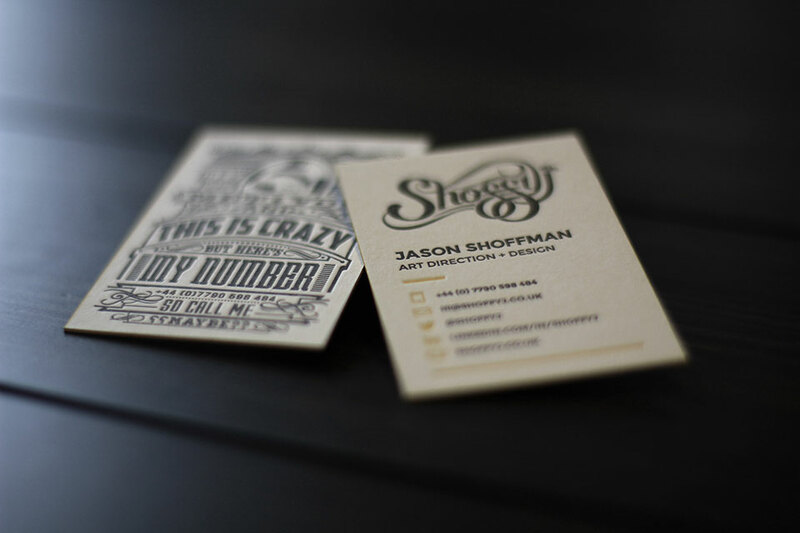 Although “Call Me Maybe” doesn’t get as much air time as 2012, it doesn’t take long to remember the most played song of that year, when looking at the typographic lyrics on the back face of my card. 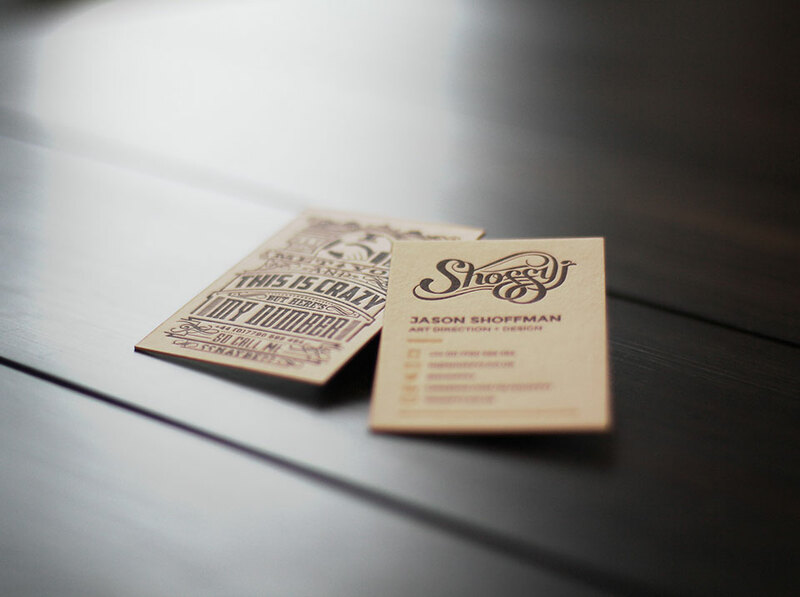 These were printed by @CherryPress, who I can’t recommend highly enough for your high-end printing requirements. Previous Post Best Disney Proposal Ever?... So I've been told!